This Project was very successful as it obtained the primary goals of narrowing and subsequently deepening the stream channel, and provided bank stability to alleviate erosion during high flows. 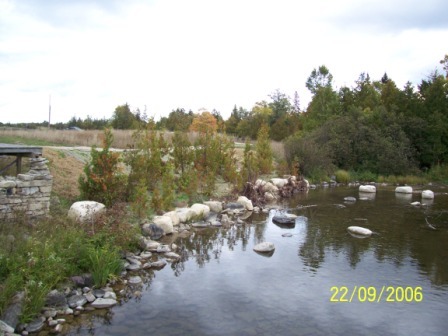 A number of aquatic habitat features were installed along the reach including roots wads and lunkers, both of which are held in place by overlying boulders. 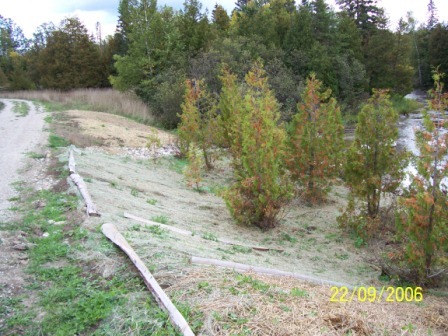 This work was completed according to the site plans through the cooperation of landowners, dedication of volunteers, consulting expertise of Great Lakes Environmental Services (GLES) and equipment, material, and services of Lloyds & Sons Trucking. 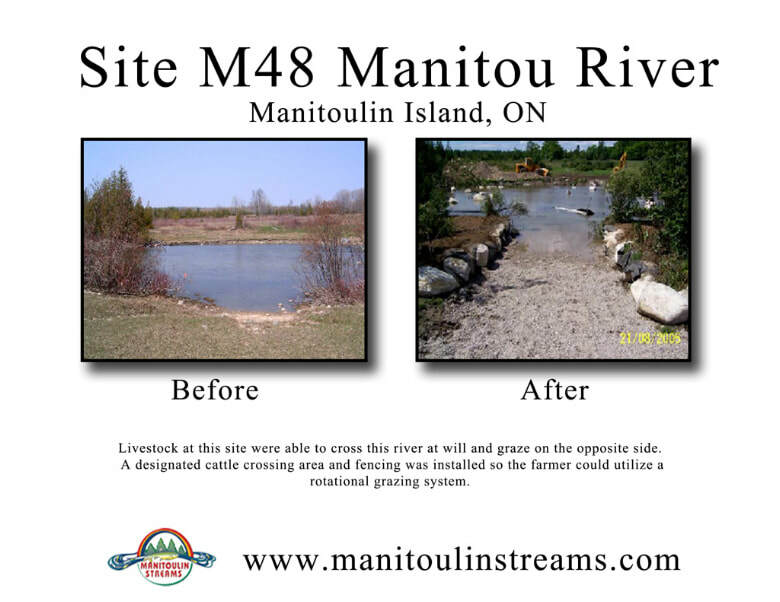 Restoration of the riparian zone included the creation of a cattle watering area through the addition of 600 mm boulders underlayed by geo-textile. Large limestone screening material was used to create a stable substrate to mitigate against cattle hoofs disturbing and subsequently releasing sediment into the river. 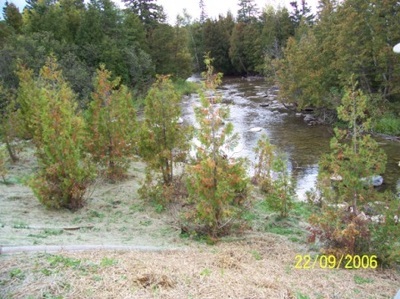 Following the creation of the smart management cattle access point, re-vegetation efforts were made to establish a diverse riparian native plant community. Species including eastern white cedar, speckled alder, red-osier dogwood, birds-foot trefoil and white clover. Post construction site visits by GLES found the re-vegetation project to be establishing itself well, thus acting to stabilize the stream bank along the entire shoreline.